I'll be doing another pack eventually, but those are all the main ones I wanted to get done. NOTE: Because the idea of "credit" was brought up in another thread. I do not give permission to Laroche23 to use any of these conversions for his 95-96 roster that's a WIP. That roster is still up on IronKnights BlogSpot, with active links, and no credit given for using my roster as a base. Whether that's Laroches fault or not, I do not give permission for the work in this thread to be used in that project. If others want to create single season mods/mods in general and want to use these with proper credit (To myself and the original cyberface creators) by all means go for it! I wish I had completed a single season roster for this game, maybe if 2K19 is poor and Live doesn't come to PC, I may entertain the idea. I want to throw something out there in regards to NLSC user Laroche (And I am hoping this is not a premature statement). He has reached out to me numerous times via PM apologizing, and seems very sincere. He is also not in control of IronKnights website at the moment, and also has congratulated me on the conversions in this thread. He did make a request (Vin Baker and Danny Manning), who were already on my radar and saved to my folders to work on. Those two, as well as another 8 others will be released at some point in a cyberface conversion pack 4. That will give us roughly 40 2K18 to 2K17 conversions. I'm mentioning this in here, because I was a little rough on Laroche in the past. He deserves credit for owning up to that situation. However, he is aware that I am not okay at the moment with him using my work in his rosters (If he continues). Biggest reason being, I am not sure of IronKnights role, and IronKnights BlogSpot is still up with no credit. So publically, thank you to Laroche for rebounding from the situation, and apologies to him for being a little rough on him in his thread. I may have overreacted a bit. I'll get the Danny Manning and Vin Baker out there soon, busy week. I can own up to my own mistakes/flaws, I need to control myself sometimes and think before I lash out. I stand by my opinions on the credit aspect, but I could have handled that a bit better. So for that, I am sorry. I have given this a lot of thought.... let me know what you decide. I've never been one to hold somebody hostage, or a situation hostage.. I'm also a believer that people can change. Laroche23, you have apologized to me quite a few times since that incident, and I find your apologies to be sincere. In my case, I hope you accept mine as well. With that being said, I will support your continued work and release of the 95-96 mod for 2K17. Under one condition: All work is credited properly: Including my work, PeacemanNOT's work, or any other work that was put into the roster. My credits on my Ultimate Classic Teams Roster thread is something you can use for a reference when doing your own credits. So yes, I am allowing you to release the roster with my work in it. Another rule, and this one is very important: The new links/release is to not be listed on IronKnights blogspot, as that is the space where no credit was given. If you release, it's exclusively on here, or on another site of your own creating (with proper credits given). I believe IronKnight put work into the roster as well, so proper credit should be given to him for his contributions. So yes, you can also use my conversions. They will help you quite a bit with filling in teams. I have not asked PeacemanNOT if you can use his jersey work, but I believe he will be 100% okay with it given the circumstances and proper credit. Him, myself, and anybody who values this community or modding in general knows that the choice I am making is a healthy one. 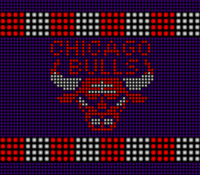 I think that having a single season roster out there would be awesome for the community, even if it is for a past 2K like 2K17. If you do not wish to continue the 95-96 mod, that is your choice. I am just giving you the go ahead to move forward with work from my roster if you want to. The people who helped me on that roster are very strong community members who understand the values of the NLSC well, as long as proper credit is given, I am positive they will be happy with a single season roster being released. If you need help with the credits section (If you decide to move forward) reach out to me. Also, don't forget to give yourself the proper credit for the work you did on the roster. If the rosters work was mostly done by IronKnight, you MAY want to hold off on a release before talking to him. However, if it was 50-50 or you did the majority of the work (Outside of using my work and peacemanots, etc), you could probably just move forward. If anybody has objections to this, please let me know. Otherwise, good luck. NOTE: I think it's still a good idea that Andrew shuts down the other thread, and a new one is created. That will give you a fresh start. 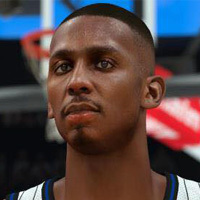 Can you also convert Penny Hardaway of Awei1121? Is there some kind of tutorial for converting CFs ? Gerix wrote: Is there some kind of tutorial for converting CFs ? There is one for 2K18 but not one for 2K17 yet. Although the processes are not the exact same, they have quite a few similarities - especially the portion of the work that is in blender. I planned on making a video and still do. And, I'm so sorry I havn't responded to you about 2K17 recently, my mind is going 100mph all the time is seems. Ok sweet that would be a big help to those still playing 2K17 and have had questions. It's all good it's a busy time of the year with Live and 2K releasing games combined with other stuff outside of modding, so I understand. Are you still continuing this project? 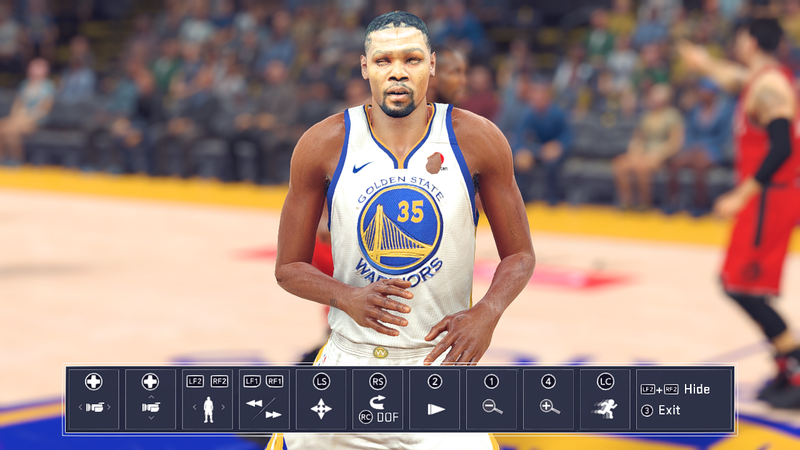 Also i have tried to convert KD's face (credits to litdrcat) but i dont know what to do next. I still have to fix the eyes and jersey and accesory clipping. Any tips on how can i fix this?